There is a large number of available apartments for rent in Bahrain. Check out our extended flat lists and find the apartment that best suits your needs. We offer furnished and unfurnished flats for rent in Bahrain. Many apartments are fits that could meet expatriates need. Our lists are daily updated with new apartments. When you find the unit you have been looking for, don't hesitate to call our number in order to reserve it at once. Our sales team can secure you special deals with better prices than displayed. Call us now and get one of our representatives to answer all your queries and offer you full assistance. You will find here a divergent set of Bahrain apartments located in different locations and with different prices and spaces, call us once you find the unit that best suits your needs. If you need any help or asking for special consultation regarding the search process, call us anytime. Our team of property experts can offer full assistance. Same as all other countries, the majority of displayed residential units in Bahrain are apartments. They vary in type of course between standard flats, duplexes, penthouses, studios, and other. They also range in size between one-, two-, three-, four-, and five-bedroom apartments. Property lookers can find furnished and unfurnished apartments in Bahrain. As many people prefer furnished apartments as they seem ready to be used, some people find the unfurnished flats more convenient as they will be able to deck it up by themselves. 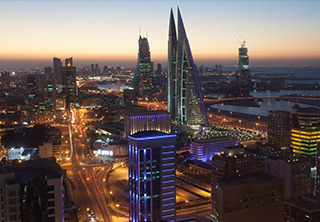 Bahrain is growing in a fast pace, the kingdom is hitting unprecedented rates in construction development. New projects are launched offering new living options for the kingdom’s inhabitants. Many high-end developments are available in different locations, especially in the designated freehold areas. Property lookers can find quality options in the displayed apartments for rent in Juffair district. Other freehold localities like Seef, Reef, and Durrat Al Bahrain feature premium residential units too. Amwaj Island apartments are also highly demanded by residents thanks to its numerous qualities. It’s a gated mixed-use community that houses many residential developments scattered throughout the project. It has also a set of fancy hotels and resorts overlooking the sea, in addition to retail centers, parks, and walkways. Many of the available apartments in Bahrain have access to a range of amenities like swimming pool, sauna, fitness gym, and other amenities. They are also displayed for affordable prices, areas like Hidd, Arad, Adliya, Tubli, and Salmaniya encompass suitable options that can fit all demands for suitable prices. This list of apartments for rent in Bahrain has the finest properties displayed in the kingdom. Picked by experienced property consultants, the flats are well suited for all segments including singles, couples, and families. Each displayed property has a number of high-quality images taken by professionals, in addition to a descriptive text showcasing its perks, and location on map. Bahrain expatriates have better residential options to check now with our specialized list, convenient apartments scattered around the kingdom assorted by specialized property agents to cater to all society segments. Finding apartments for rent in Bahrain is definitely easier now thanks to the modern online property listing sites like Weetas that offer extended lists of properties updated on a regular basis to meet all needs. Living in Bahrain is such an extraordinary experience, a life by the sea and among the kindest and most welcoming people on earth. Bahrain has a lot to offer, you will definitely find this once you take the first step on its soil.